(by Benny Avni, New York Post) – …America is boycotting a weeklong session at the UN Human Rights Council that started Monday, and is pressuring others to oppose five related resolutions expected to be raised on Friday, at the end of that session. As US Ambassador to the UN Nikki Haley pointed out Monday, only one country is subjected to regular scrutiny and condemnation in each of the three annual sessions of the 47-member Geneva-based human rights body. “It’s not Syria, where the regime has systematically slaughtered and tortured its own people,” Haley said. “It’s not Iran, where public hangings are a regular occurrence. It’s not North Korea, where the regime uses forced labor camps to crush its people into submission. The council was established in 2006 to replace the discredited Human Rights Commission. It was widely hailed by UN supporters as major “reform,” but it turned out that this rose by another name smelled just as rotten. The George W. Bush administration didn’t buy it and refused to join in. 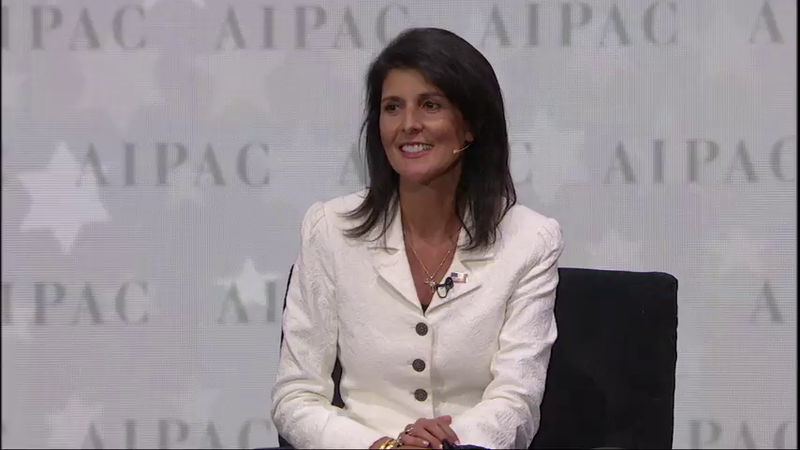 Then President Barack Obama’s State Department, while admitting the council was still obsessed with Israel, argued that by joining, America could effect change from the inside. Team Obama forced the adoption of resolutions about North Korea, Syria and other areas of concern. But the fundamental nature of the council remained. According to the [UN watchdog] group UN Watch, in the decade since its inception, the council condemned Israel 68 times, compared to 67 condemnations of all other 192 countries combined. No wonder Secretary of State Rex Tillerson wrote recently to UN supporters that unless the council in Geneva ends its bias — and stops admitting serious human rights violators as members — the United States will walk. And guess what: In other UN corners, such pressure is already showing results. It was written by Richard Falk, a 9/11 truther who in the past also accused America and Israel of responsibility for the Boston Marathon bombing. Last week, Ambassador Haley, who’s been outspoken about anti-Israel bias since arriving in New York, demanded that UN Secretary-General Antonio Guterres remove the agency’s report from the UN website. He did. Then the director of that agency, Jordanian national Rima Khalaf, resigned. And with that, a bit of Israel-bashing was gone. But fighting the UN’s obsession with the Jewish state is just the start. By all means, scrap a biased report written by a kook who somehow keeps showing up on the UN payroll. But then again, who needs ESCWA to begin with? After all, this agency, comprised of 18 Arab states, contributes little, if any, to humankind. Why, at a cost of $70 million out of the UN’s “regular” budget, keep it — or, for that matter, some other quite costly and unnecessary UN bodies? The United States pays $5.4 billion, 22 percent, of the annual UN “regular” budget, much more than any other country. Additionally, US taxpayers fork over $8.25 billion for UN peacekeeping (28.5 percent of the total peacekeeping budget). Haley said she’s scrutinizing those budgets, starting with peacekeeping — a target-rich environment with quite a few defunct, redundant or bloated blue-helmet missions around the world. Other UN cuts were detailed in President Trump’s recently announced budget. The trend is clear: America will significantly reduce its UN contributions and stop handing over blank checks to agencies controlled by US antagonists. No wonder they’re freaking out at Turtle Bay [the UN headquarters in NYC]. Last week, UN Secretary General Guterres indicated in a statement that such US budget cuts would harm global efforts to combat terrorism and would undercut his attempts to reform the world body. As evident by his scrapping of an anti-Israel report under Haley’s pressure, the opposite is true. They’re shaking on the 38th floor. Good. More than other bloated bureaucracies, the UN system has known only growth — in budgets, personnel and waste. Time to lose weight, and America alone is in a position to set the terms of the diet. Published March 20, 2017 at The New York Post. Reprinted here on March 30 for educational purposes only. 1. What is the main idea of Benny Avni’s commentary? 2. a) How much does the U.S. contribute to the UN “regular” budget annually? b) How much does the U.S. pay for UN “peacekeeping” forces annually? 3. What facts does Mr. Avni point out about the UN’s Human Rights Council and its condemnation of countries’ human rights records? Be specific. 4. The purpose of an editorial/commentary is to explain, persuade, warn, criticize, entertain, praise or answer. What do you think is the purpose of Benny Avni’s editorial? Explain your answer. 5. What is your reaction to the information Mr. Avni provides about the UN’s Human Rights Council? 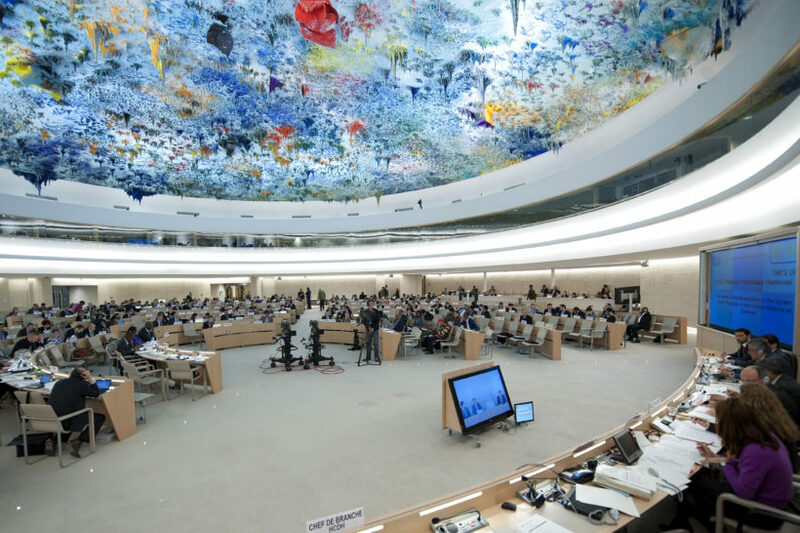 Human Rights Voices, a UN watchdog organization explains: At the foundation of the UN in 1945, democracy dominated the character of the majority of member states, despite pockets of instability. Nevertheless, democracy was not made a pre-condition for membership in the UN. More than seventy years later, the majority of UN members are not full-fledged democracies. NOTE: Visit the HumanRightsVoices website. Visit the website for a second UN watchdog group UN Watch.